Now on its sixth year, National Breakfast Day lets everyone enjoy the goodness of a McDonald’s breakfast to jumpstart their day on a positive note. National Breakfast Day is our biggest breakfast activation and now on its sixth year, together with thousands of our crew and managers, we're excited to once again welcome customers from all over the country in our stores and have them experience a memorable morning. 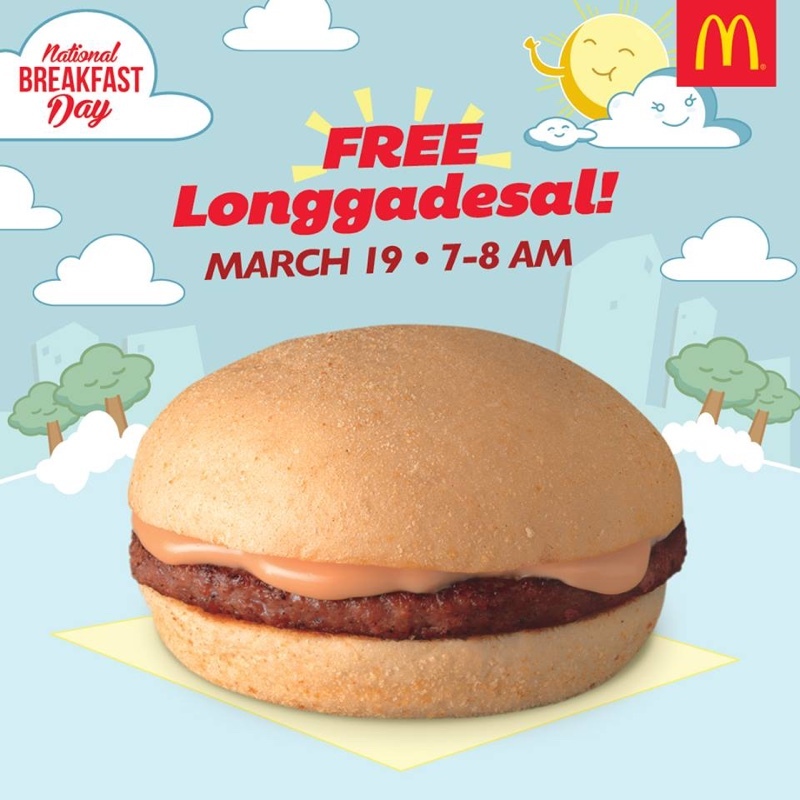 Breakfast signals the start of a new day, and we’re happy to be with our customers in starting their week right, with a free, delicious Longgadesal that they can keep coming back for only in McDonald’s- Kenneth S. Yang, McDonald's Philippines President & Chief Executive Officer. Share your National Breakfast Day experience and tag @McDo_PH on Instagram, Twitter and Facebook with the hashtag #NationalBreakfastDay.